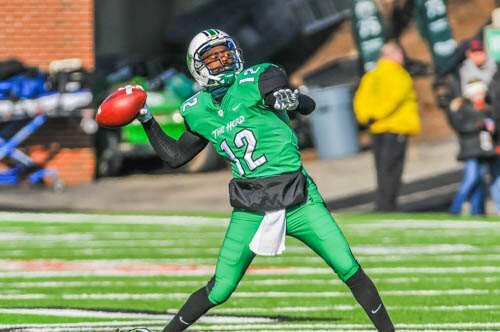 Highlights from the Marshall versus Western Kentucky high scoring nail biter, which cost the Herd an unbeaten season. The Herd trailed throughout the game following two quick WK TD's, which put them up 14-0. MU ell behind 42-21, but evened the game 49-49 before tying 59-59 for the OT period. MU scored a TD and point after, but WK scored and went for and completed a two point conversion for the win.